1.3 MB, 1080x1920px, 6.2 secs. 32.14 MB, 1080x1920px, 6.3 secs. 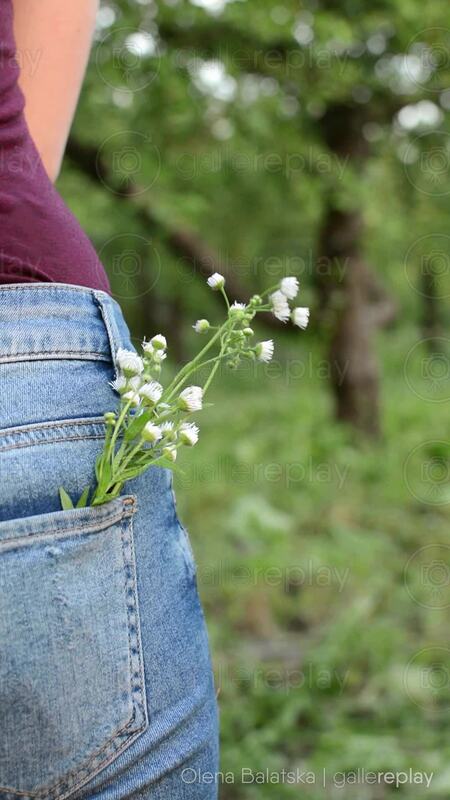 Close-up view of picked daisy flowers in the pocket of a young woman's jeans.